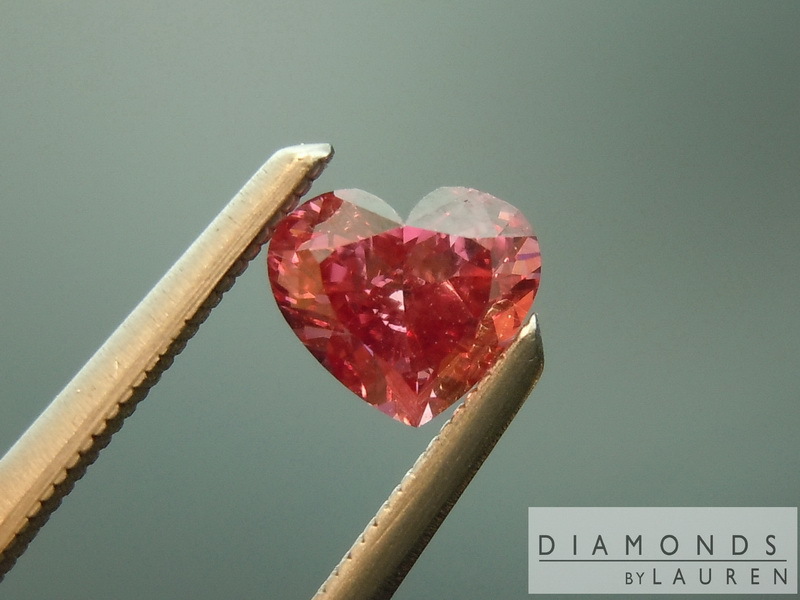 We deal with some of the world's best diamond cutters- the story of this remarkable stone will give you some insight into that. 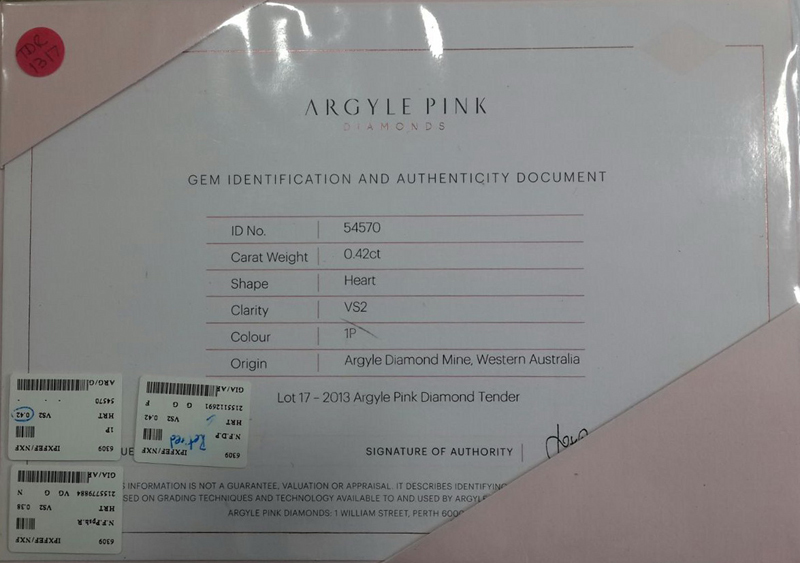 The diamond was part of The Argyle Tender in 2013. 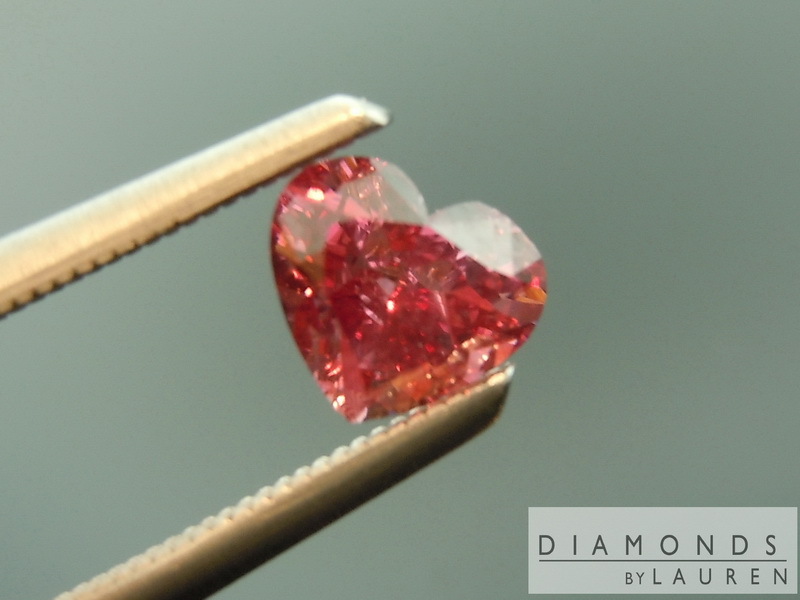 "Tender Stones" are some of the most sought after on the planet. 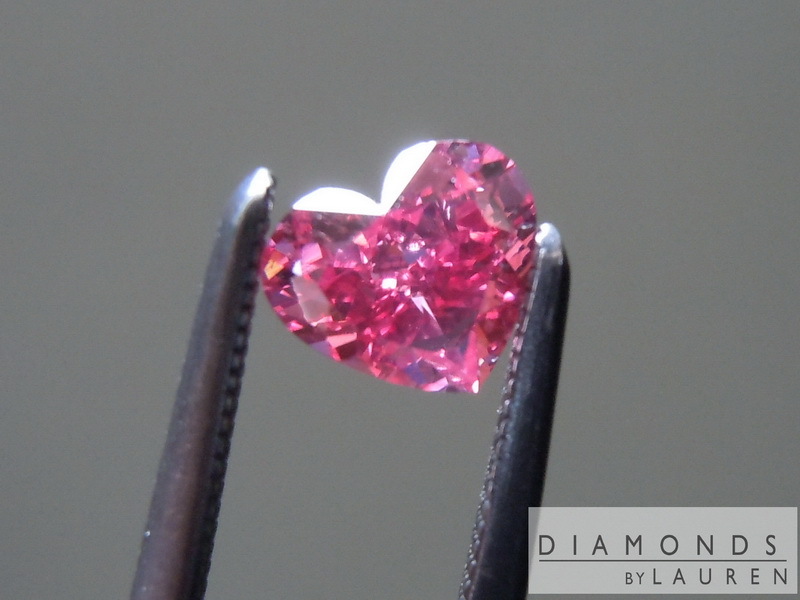 In this case, Argyle graded the stone "1P" The scale starts at 1- which is the most saturated color. "1P" is pure pink. (1PP is pinkish purple). 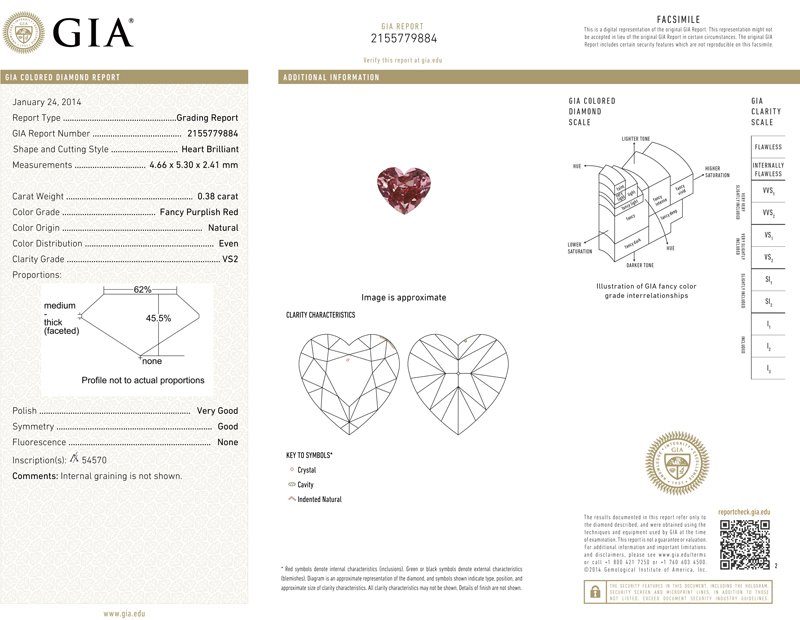 Our cutter submitted the diamond to GIA which graded it "Fancy Deep Pink". That put it in a very rarefied group. However, our cutter saw something more possible. 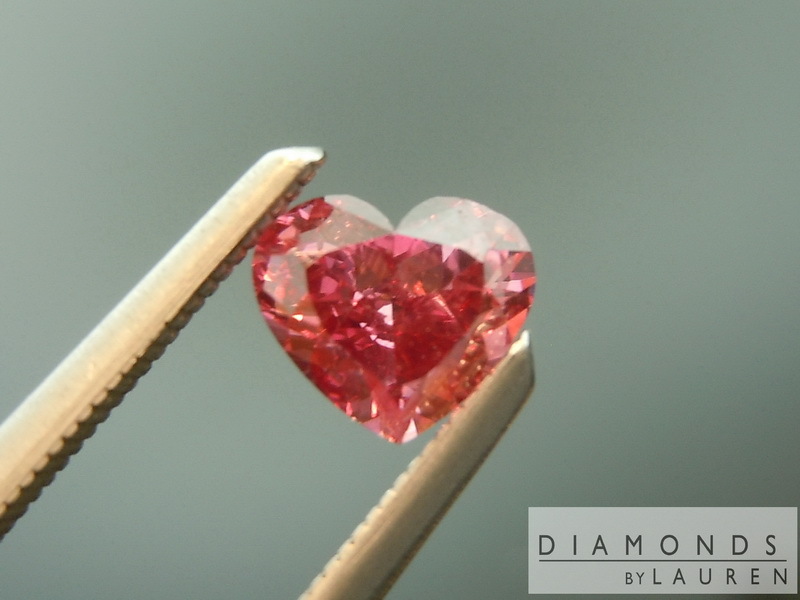 Rarer than rare Deep Pink is Red. 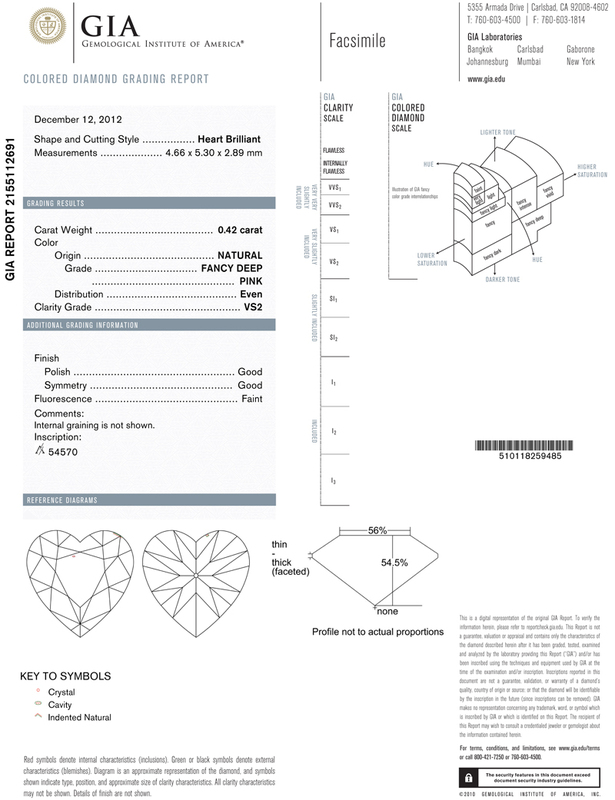 They re-cut the diamond down from .42ct down to .38ct. 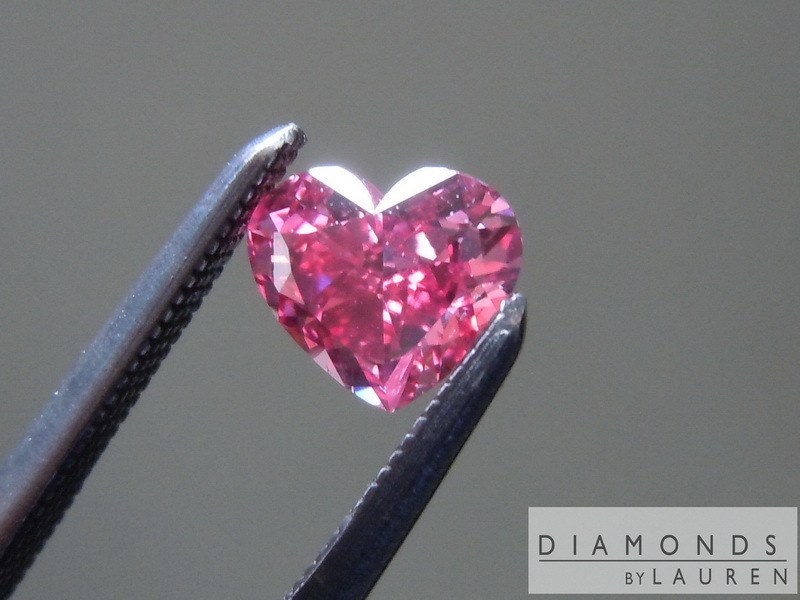 Consider that even as a Fancy Deep Pink from the Argyle Tender, the diamond was worth well over 1/2 million dollars per carat. Now imagine putting that diamond back on the wheel. That is exactly what they did, and the vision paid off. 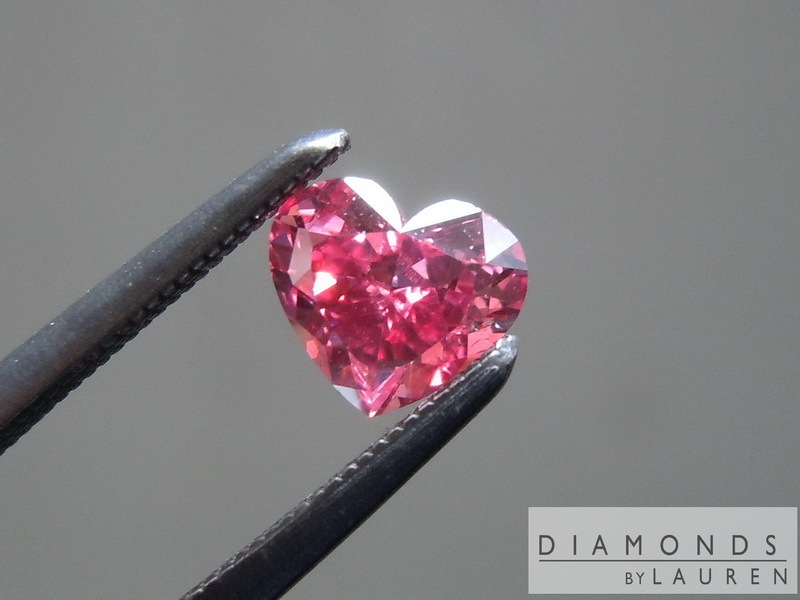 The grade of Fancy Purplish Red makes the diamond even more desirable. VS2, which is great. 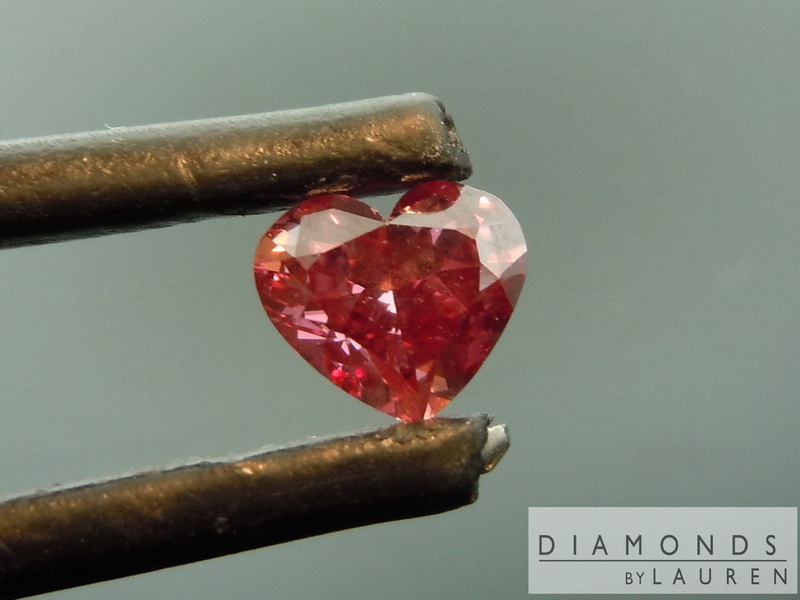 Not that clarity makes a difference in a stone like this.